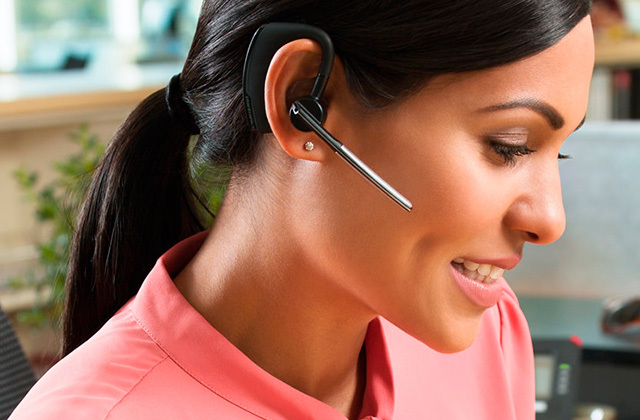 The device incorporates a convertible structure, allowing you to switch between a stand-mode and a pad-mode. 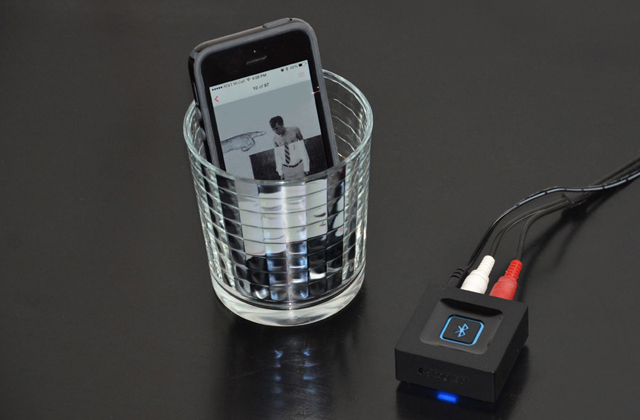 When used as a stand, this gadget allows you to browse through the contents of your mobile device while seamlessly and swiftly charging your smartphone. Just put your phone on the non-slip pad to start fast charging. 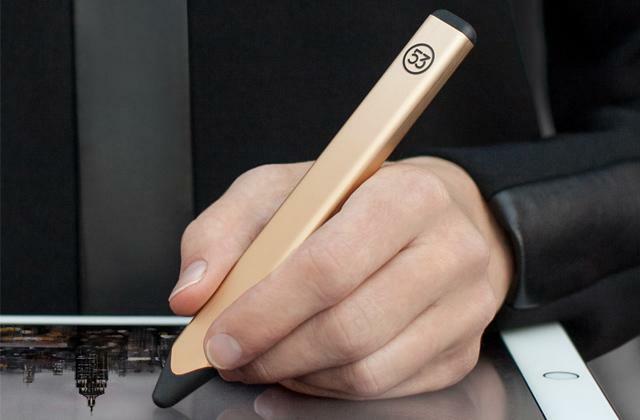 You will have to purchase a specific USB Type-C to charge your iPhone with this product. You wouldn't be too far off to call the Samsung EP-PG950BDEG arguably the best wireless charger out there given that it won't lose to any competitor in terms of performance and its design is one of the most convenient and stylish options you will be able to find on the market. A soft intelligent LED indicator located at the bottom of the wireless charger displays the status of safety charging with a green light and standby using a dim blue light. Furthermore, it also features a much wider charging area, so you can put your phone however you want without having to worry about perfectly aligning it with the charging dock. The model is one of the bulkier options. The Holife LSGEPA046AB will be a perfect fit for those customers that value speed and a great acquisition for those who are looking for a wireless charger capable of handling a variety of different mobile devices. In terms of quality assurance, this model adheres to every single standard out there, including the CE, RoHS, and FCC certifications. The gadget also comes with a built-in over-charging solution and over temperature circuit protection, both of which are there to make sure this product never overcharges your battery or wastes some unnecessary energy. The indicator can seem overly bright during the nighttime. The CHOETECH T511-000 has got to be the best Qi wireless charger out there for the kind of customers that appreciate safety and security above anything else and are mostly interested in a reliable wireless charging solution that will not fail them when needed the most. The model in question displays a battery indicator in the Quick Circle window, while the notification LED glows red. The cradle itself is reliable and sturdy so you won't have to worry about it shaking regardless of the surface. 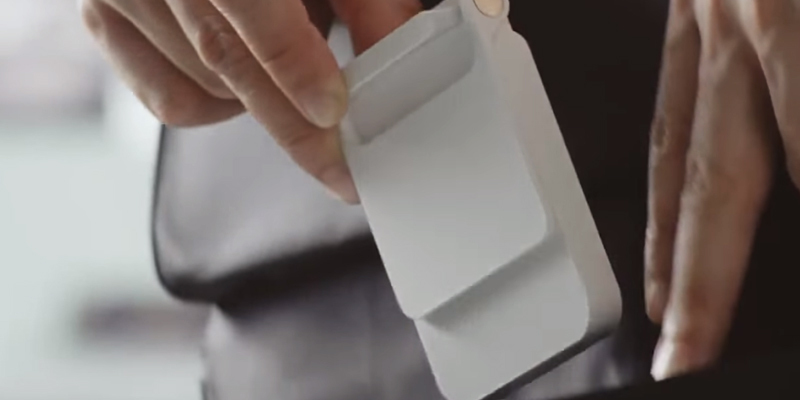 The device is convertible, thus allowing you to charge your phone both in a horizontal and in a vertical position. There's no LED indicator that reports on the status of the charging process. 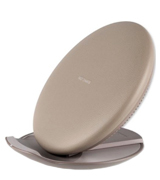 The LG WCD-100.AGEUWH doesn't necessarily include any outlandish features, but it is without a doubt one of the most compact and portable options on the wireless charger's market and the kind of security and durability it features makes it a rather alluring choice for a variety of customers. The model comes equipped with a large charging surface virtually removing the need for precise alignment between the phone and the charger. It also includes the latest advances in Foreign Object Detection, meaning that the device does not activate if somebody drops any object that's not specifically designed to be charged wirelessly next to this product. The adapter combined with the plug take up some space. If you're looking for a wireless charger that will allow you and your entire family to charge up all of your QI compatible mobile devices, Nokia DT-900BK should be the prime candidate in your upcoming shopping list. The model comes in a variety of colours, either blending in or standing out from the rest of your interior. A charger might not be the most visually important or the most appealing part of the entire field of information technology, specifically when it comes to smartphones, tablets, and any other similar device. But if you have already spent over 500 pounds on the latest iteration of Samsung Galaxy or any other next-generation piece of mobile equipment, it simply wouldn't look right to pair such a sophisticated gadget with an old, wired charger that takes up space and does not look the part, to put it ever so mildly. An impressive smartphone deserves an impressive companion and this Samsung wireless charger is here to save the proverbial day. To say that this remarkable example of wireless technology is a statement piece would be quite an understatement in itself. Its minimalist, matte silicone design comes in two muted colours so the charger won't just look striking on any desktop, but will also be able to fit the interior of any room thanks to the aforementioned muteness of the colours. Suffice it to say, even if the device in question would not have been capable of charging your phone, this model would've still been able to attract a variety of customers as a sleek accessory that could improve the look of any room you put it in. Its overall dimensions will also be able to suit this role perfectly, with 117.4 x 28.6 x 117.4 mm being a perfect size to attract just enough attention without taking away too much space. 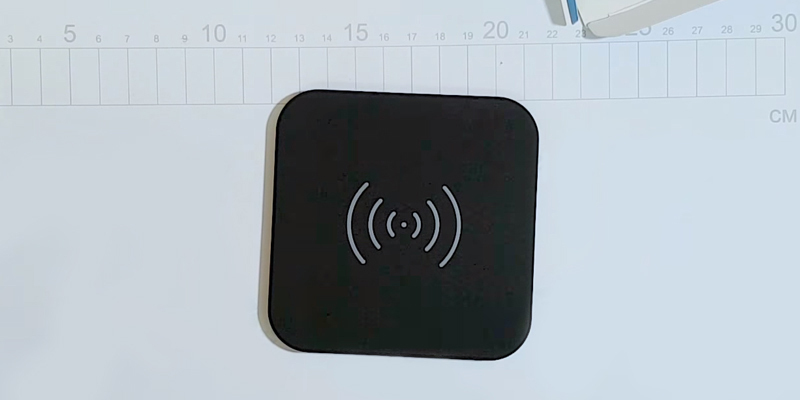 Obviously, creating a visually appealing accessory was not the only thing on developer's mind when they were busy designing this wireless phone charger. First and foremost, it has to do its job, and it has to do it exceptionally well in order to justify its price. And without attributing any false modesty, exceptionally is exactly the way this model operates. To start with, the previously specified design of this product incorporates a convertible structure, allowing you to switch between a stand-mode and a pad-mode. When used as a stand, this gadget will allow you to browse through the contents of your mobile device while seamlessly and swiftly charging your smartphone. 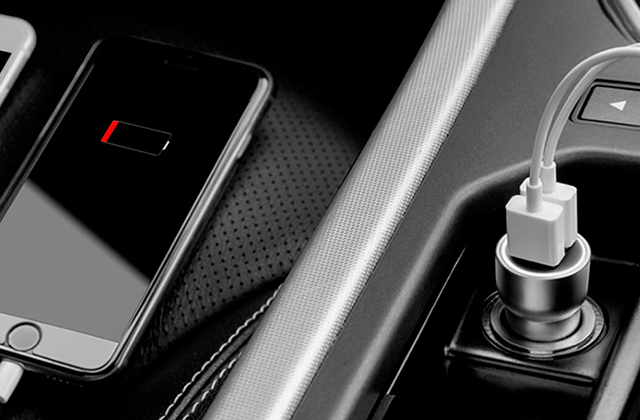 All you have to do is simply put your phone on the non-slip pad to start fast charging. As the "non-slip" part of the name suggests, the premium leather-felt material of this tool offers exceptional grip, holding your phone tightly. For regular wireless charging, any QI compatible device will do, and some of the latest Samsung smartphones are eligible for fast charging mode that will be able to increase the charging speed more than twice. Though if you'd like to use this product to charge your iPhone, you will have to purchase a specific USB Type-C cable that is sold separately. Once you are done charging your phone and want to take this model elsewhere with you, all you have to do is simply fold the charger into a pad for easy storage. 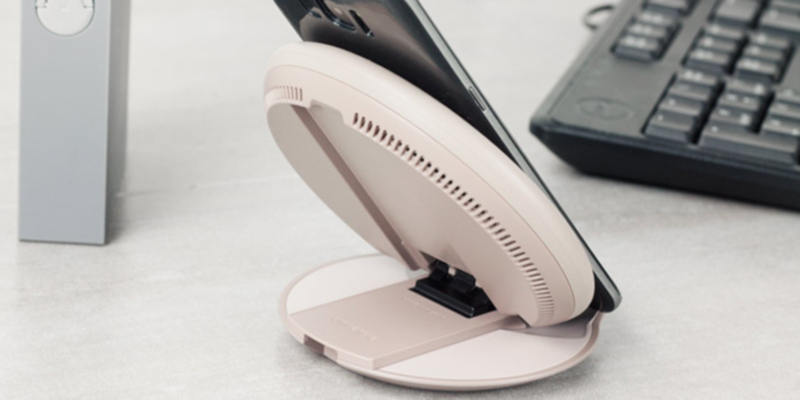 Thanks to such an elegant solution, this portable wireless charger will be perfect for people that like to travel around and want to have a compact charger with them in case of emergencies. And that's about all we wanted to say. Without any further advertising, it would be more than fair to call this Samsung EP-PG950BDEG arguably the best wireless charger out there given that it won't lose to anyone in terms of performance and its design is one of the most convenient and stylish options you will be able to find on the market. Let's face it, there's absolutely nothing more boring than waiting for your phone to get fully charged, being unable to call a friend, browse the Internet, or simply check up on your social media. And while it doesn't necessarily take years to fully charge your phone, that time where you are forced to do nothing but wait seems to drag on for much longer than it probably does. All in all, speed is essential when it comes to chargers, and there are very few wireless charging solutions out there that could rival the Holife LSGEPA046AB when it comes to that. Though speed is definitely one of the most prominent aspects of this product, we would be remiss not to mention first the fact that this is also one of the more versatile wireless chargers on the market. 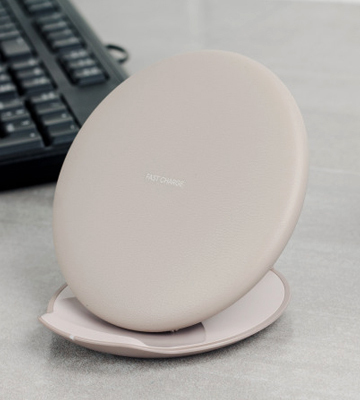 While this gadget will be an absolute blessing in no disguise to Samsung users, any device that supports QI compatibility will be able to draw power from this model, meaning you can use this wireless charger for iPhone, iPad, and a variety of other smartphones and tablets out there. And since the model in question utilises inductive charging technology that entirely eliminates the need for a wire-based approach, you will be able to forget about tangled wires and lost charging cables. Going back to the speed element of this impressive piece of technology, we can say that it is without a doubt one of the fastest wireless chargers out there, which is capable of rivalling the majority of wired options in regards to any QI compatible device. But, on top of that, the model also includes a fast charge mode that will allow you to charge the latest Samsung products with an almost twofold speed compared to a standard charging mode. The model itself features a stylish slim profile that includes curved edges in order to improve the entire structure in terms of elegance and safety. A soft intelligent LED indicator located at the bottom of the wireless charger displays the status of safety charging with a green light and standby using a dim blue light, without any distraction caused by an overwhelmingly bright glow. Furthermore, the device also features a much wider charging area, meaning you can put your phone however you want without having to worry about perfectly aligning it with the charging dock. The dock itself incorporates a practical stand design for comfortable viewing and use on desks and nightstands. You will be able to enjoy a movie, make calls, or send messages, all while not having to interrupt the whole charging process. 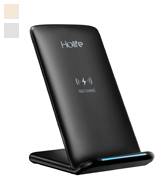 So, without going into further details, we can safely come to the conclusion that the Holife LSGEPA046AB will be a perfect fit for those customers that value speed and a great acquisition for those who are looking for a wireless charger capable of handling a variety of different mobile devices. 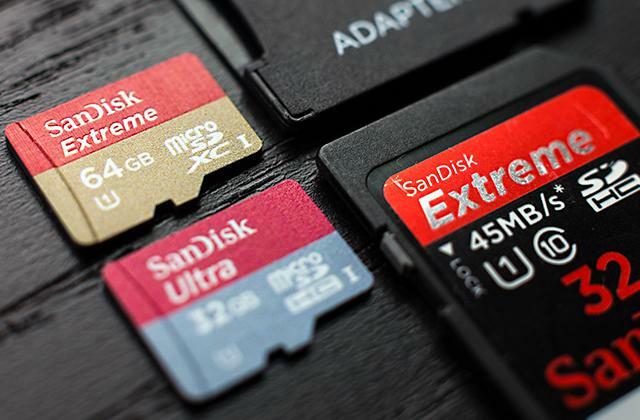 With smartphones and other mobile solutions getting more and more expensive every single year, never before have people been carrying around such a costly yet fragile tool with them at all times. And while the biggest amount of danger obviously comes from outside, whether it's using your phone in some sort of a public transportation unit or strolling around the sidewalk with your head glued to your favourite mobile gadget, there are plenty of potential situations you can encounter in the seemingly safe comforts of your home. From stepping on the phone to the mobile device sliding from some type of slippery surface, the list of possible threats isn't quite as short as you might think. So, if you'd like a wireless Qi charger that wouldn't just do an acceptable job charging your phone, but also protect it from possible threatening situations, the CHOETECH T511-000 should be able to fit you like a glove. Before delving deeper into what exactly makes this model such a safe and reliable choice, we would like to mention that this Qi-Certificated wireless charger will be able to recharge any Qi-enabled device at a standard charging speed. You are unlikely to encounter any issues, though the device does not support the fast charge mode, which is something that Samsung users will surely regard as a disadvantage. The charging process starts the exact same moment you put a Qi-enabled smartphone or any device equipped with a Qi-compatible cover. 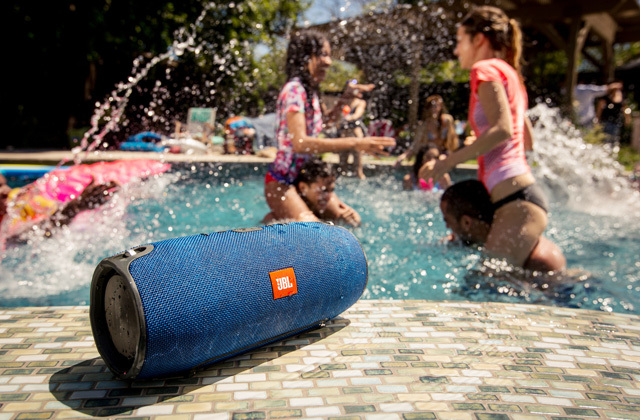 There's no need for cables and no kind of USB interface is required. 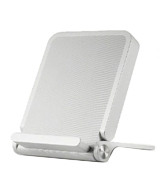 Now, finally approaching the safety aspect of this product, we would first like to point out the premium design of this wireless phone charger. The first thing worth your attention, without a doubt, would have to be the white anti-slip rubbers located in the middle of the pad in order to protect your device from sliding off the charging pad and 4 tiny yet reliable anti-slip rubber feet placed at the very bottom with the purpose of securing the charging pad on any flat smooth surface. In terms of quality assurance, this model adheres to every single standard out there, including the CE, RoHS, and FCC certifications. And, to top it all of, the gadget also comes equipped with a built-in over-charging solution and an over-temperature circuit protection, both of which are there to make sure this product never overcharges your battery or wastes some unnecessary energy. 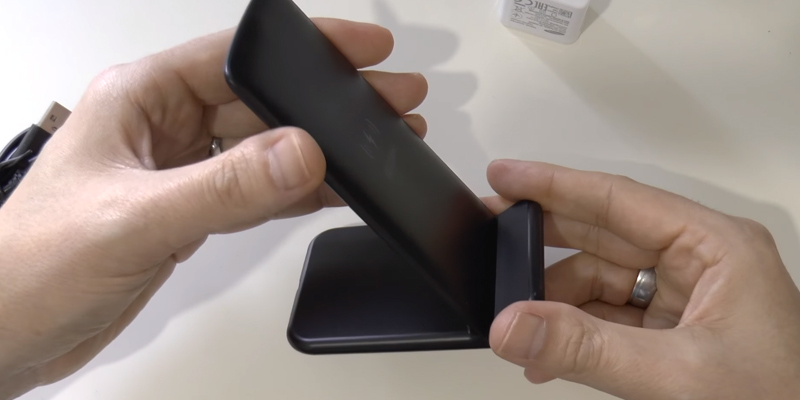 The developers seem to truly care about their customer's experience, which is why they always make sure to mention that this wireless solution is incapable of charging through metal phone cases or cases thicker than 5 mm, so It would be better to remove the case before you start charging your phone. Honestly, the only real downside of this model would have to be that the wall adapter is not included in the package. 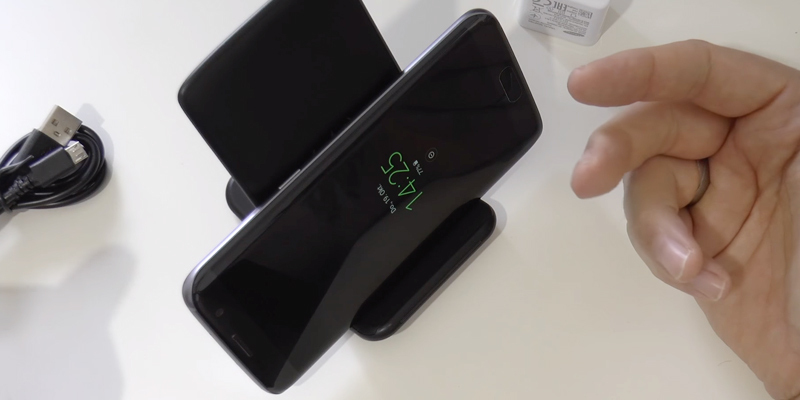 But, other than that, theCHOETECH T511-000 has got to be the best Qi wireless charger out there for the kind of customers that appreciate safety and security above anything else and are mostly interested in a reliable wireless charging solution. Though a wireless charger could definitely be classified as a more sophisticated example of high-end technologies, at its very core, the device's main function remains the same - to charge up your mobile gadget. So, while all of the additional options and supplementary features are unlikely to necessarily hurt, you'd be hard-pressed to call the majority of these functions essential, and what you probably want is a simple product that will be able to do a satisfying job charging your phone. A device that isn't simple but rather accessible and reliable enough, providing the user with the option of just putting their phone on it and going back to some of the more important issues in their life. And that is exactly what the LG WCD-100.AGEUWH is willing to offer potential buyers. This is one of those cases where the first impression is likely to be the correct one. 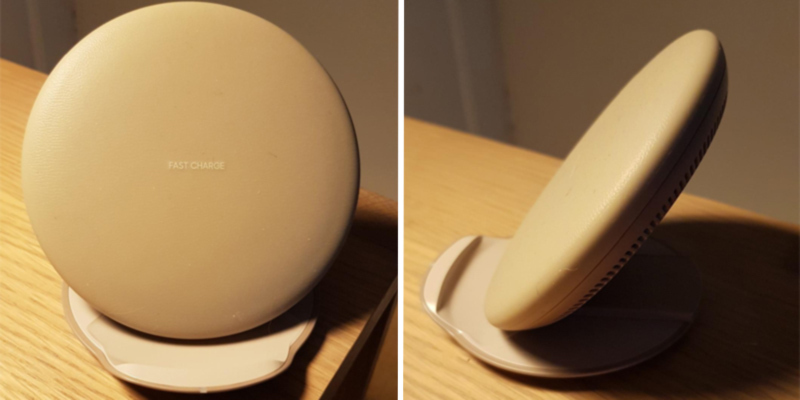 The seemingly unassuming look of this LG wireless charger does not lie, as the model in question is as simple to use as any regular smartphone dock. 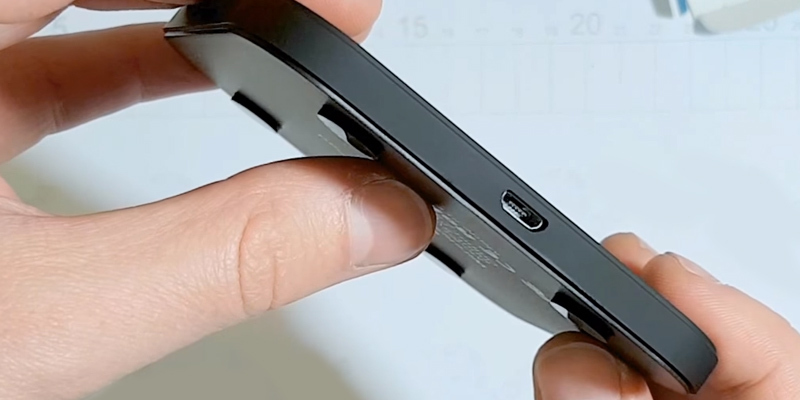 The only advantage lies in the microUSB port located behind the cradle. This is where the charger feeds on electrical current and passes it to the phone. So all you have to do is stick one end of that cable into the charger, and the other end into a USB port or a charger, and you've got this model working. When it comes to design, the model features an L-shaped pad that is exceptional as far as offering a stable and reliable surface for your phone goes. However, it is also convertible, thus allowing you to charge your phone both in a horizontal and in a vertical position, providing a nice touch of versatility to the otherwise orthodox solution. On top of that, the compact and foldable design of this portable wireless charger and the more than modest dimensions make transporting this device a walk in the proverbial park. The charger itself doesn't necessarily feature any lights, so the only way to make sure that your phone is fully charged would be to take a look at your smartphone's indications. The model in question displays a battery indicator in the Quick Circle window, while the notification LED glows red. We would also like to mention that the cradle itself is quite reliable and rather sturdy, so you won't have to worry about it shaking or budging regardless of the type of surface. As you would probably expect, the model will be able to charge any phone that features QI compatibility. 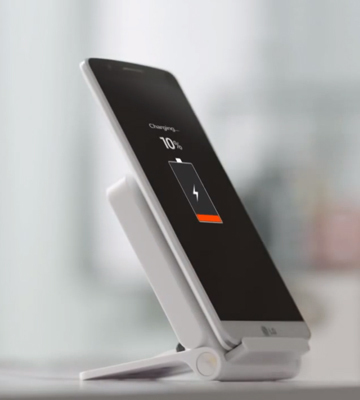 And that's about it, the LG WCD-100.AGEUWH doesn't necessarily include any outlandish features, but it is without a doubt one of the most compact and portable options on the wireless charger's market and the kind of security and durability it features makes this product a rather alluring choice for a variety of customers. 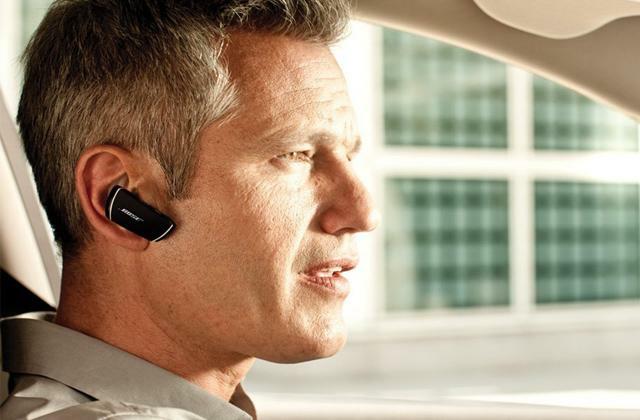 Everybody and his mother nowadays owns a multitude of mobile and wireless solutions, from a smartphone and a smartwatch to a tablet and an mp3 player. An average household is often home to a dozen of different kinds of high-end gadgets and every one of them needs to be charged constantly. If this situation sounds painfully familiar to you, it might just be the time to invest into the Nokia DT-900BK, a Nokia wireless charging plate specifically designed with this sort of application in mind. One of the biggest selling points of this particular model from the world-renowned Finnish multinational consumer electronics company is that it will be able to fit virtually any kind of device out there, as long as it features a QI compatibility function. No more fumbling with messy and annoying cables. Forget about breaking fragile connectors. 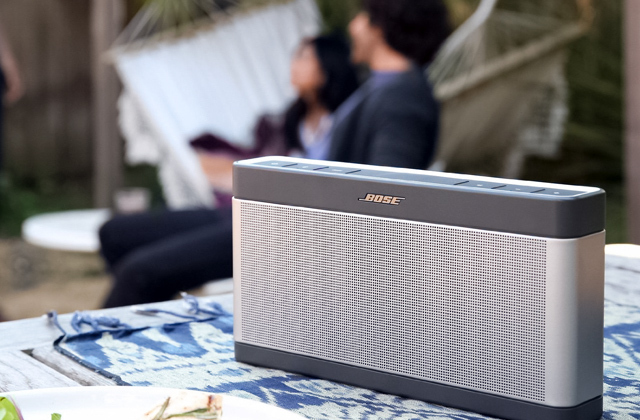 All you have to do is simply plug the station into a wall outlet with the AC-adapter that is included in the package and you're good to go. Just like most wireless charging solutions from Nokia, this one includes the latest advances in Foreign Object Detection, meaning that the device does not become active if somebody happens to drops keys, paper clips, or any object that's not specifically designed to be charged wirelessly next to this product. Furthermore, it comes equipped with an LED indicator that will prove to be rather useful whenever you feel like checking on the charging status of your smartphone. 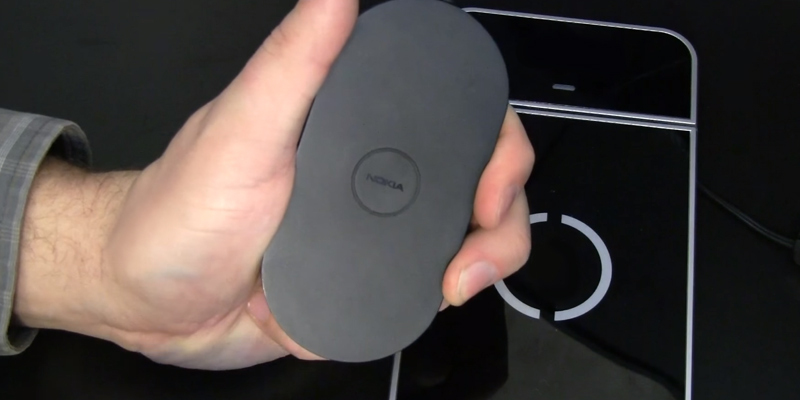 When it comes to the structure and the overall look, this Nokia wireless charger does not disappoint either, featuring exactly the kind of minimalistic design people come to expect from a device like that. It is a minimalistic solution developed for utmost efficiency and safety. It comes in a variety of colours that will allow the model to either blend into any kind of surroundings or boldly stand out if that is what you're looking for in your wireless charger. Now, as far as utility goes, this product does not intend to trail behind either, which is evident by the fact that people at Nokia equipped this model with a large charging surface virtually removing the need for precise alignment between the phone and the charger. The device in question is what is known as a phone induction charger, meaning that the wire coils located inside this gadget receive power when they come near charging stations, recharging batteries with efficiency rates that could even put some of the wired chargers to shame. 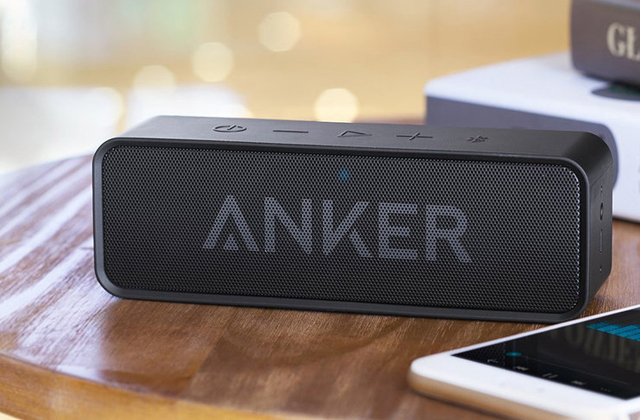 The last thing we would like to mention that, even though this charger is fairly regular in terms of overall dimensions, it weighs no more than 55 grams, meaning that you can simply put it in your pocket and you won't even be able to feel its presence. 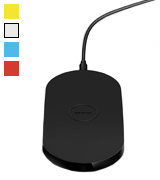 So, if you're looking for a wireless charger for all phones that will allow you and your entire family to charge up all of your QI compatible mobile devices, the Nokia DT-900BK should be the prime candidate in your upcoming shopping list. High technology is developing really fast. Wireless chargers that used to be strange and unusual devices from faraway future only a couple years ago are no longer considered to be a part of science fiction. 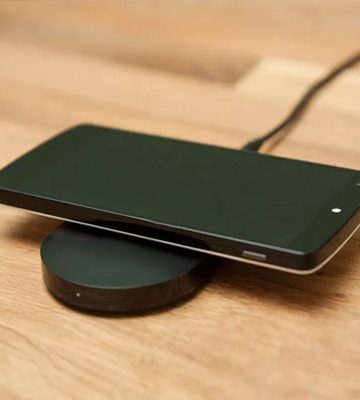 A wireless charger is a device designed for charging smartphones, tablets and other modern gadgets without wires. To comply with such chargers, a charged device should have a special built-in Qi sensor. In order to start the process of charging, you just need to put the charged device in the cradle. That's all! So, wireless chargers give you a chance to get rid of bothering wires and protect your phone charging port from damage. If you travel a lot, you should consider buying power banks and solar chargers by means of which your gadgets will stay charged when you need them. 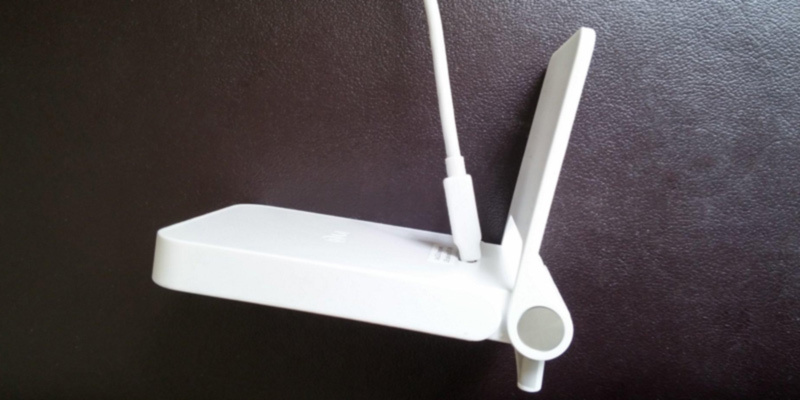 The first thing you should pay attention to is the Compatibility of your gadget with Qi Wireless Interface Standard. This standard was designed specifically for wireless charging where the battery-charging station is used for creating a magnetic field which afterward induces an electric current in the battery of the device. 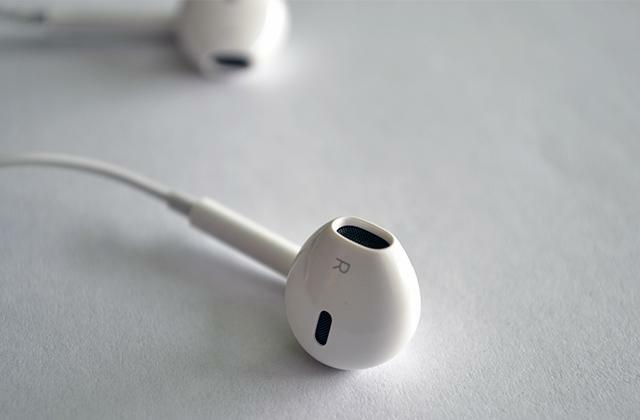 Nowadays many manufacturers embed this technology into their high-end gadgets as it allows people to free themselves from wires. If you have an outdated smartphone, you need to buy a special chip (receiver) which should be connected to the smartphone. Alternatively, you can buy a special case with Qi-module. Note that wireless charging takes a bit longer than a usual one. There is a variety of different wireless chargers and each of them has its own unique Design. They can be designed in the shape of stands which can be easily placed on your desk. Some models have a stone or button design. 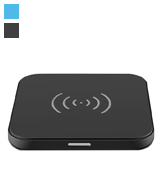 It's obvious that dimensions of a wireless charger are crucial since you are likely to take it with you on trips. 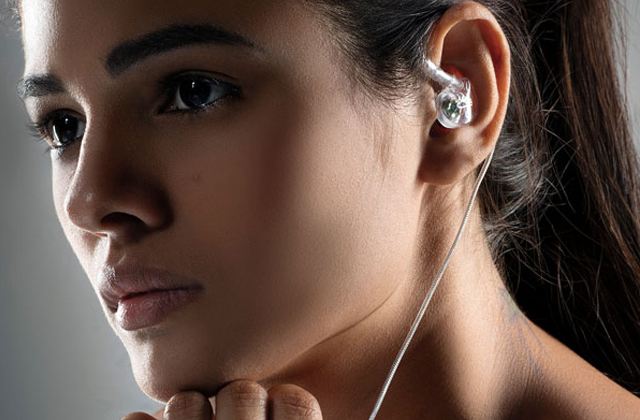 Note that some models don't require plugging into a wall outlet and can be placed in your pocket or a small bag. Pay attention to Special Features of wireless chargers you can benefit from. Some charges, for example, have additional USB-ports allowing you to charge more than one gadget at once. Others work using their own battery and have pre-installed 30-min operation cycle following which the device can shut off automatically. It can be very useful if the gadget has been already charged and there is no necessity to charge it anymore. One more advantage is that apart from smartphones, charging pads can work with smartwatches as well. The last but not the least, the majority of wireless chargers include LED-indicators that show the current status of charging and smart temperature control function to prevent your device from overheating. Without trying to make any sort of an informed guess, it would be fair to presume that most people associate the wireless charging possibility with some of the latest advancements in the world of information technology. And although that makes quite a lot of sense, that kind of assumption couldn't be more misguided. As surprising as it may sound, the technology required for wireless charging has actually been around for the past 200 years. In 1820, utilising an electric current paired with a magnetic compass, Danish physicist Hans Christian Oersted was the very first person to discover that electric currents can create a magnetic field. Of course, speaking of the inventions that helped us get where we are today in terms of wireless charging, we would be unwise not to mention Michael Faraday, an English scientist that, among other things, managed to make a name for himself in the world of science by discovering electromagnetic inductive wireless charging a decade later in 1831. Without going into too much detail, Faraday was able to find out how to transfer energy between two objects, which is, as you might deduce, the very basis of wireless charging. Generally speaking, the majority of wireless chargers fall under a couple available categories in terms of charging technologies. There are those that transfer energy from the closest near field sources and those that are able to perform their main function by transferring energy from distant sources. The majority of wireless chargers out there use inductive and magnetic charging, meaning that they employ the first method that transfers energy using the closest near-field sources. However, more and more devices these days are starting to put into use a wireless power technology that is based on radio frequency energy, which, similar to solar, heat, and pressure charging, utilises some of the more distant sources in order to transmit energy. That probably shouldn't come as a surprise if you know a thing or two about the distribution of energy and the sort of damage all of the orthodox solutions are capable of doing to our environment, so, suffice it to say, wireless solutions are actually capable of creating a considerably more sustainable environment. They will be able to do that by reducing CO2 emissions by thousands of tons annually when applied on cars and public transportation vehicles, and by minimising the battery waste produced by the constant replacement of disposable batteries. Sure, that is quite a presumption to make given that we probably don't know a single thing about you. But, for your information, electric toothbrushes actually recharge using a wireless charging technology in order to prevent the possibility of an electric shock due to their proximity to water. And with most people nowadays using electric toothbrushes, you may have already gotten acquainted with this technology without even realising it. Q: What are some of the advantages of the wireless charging technology? A: The biggest advantage a wireless charger has over a regular one with a cord and a cable would certainly have to be the convenience aspect of the whole thing. Just think about it - you can sit down for a drink or a light snack and simply put your smartphone on the charger (with some of the models utilising a much wider charging area, you don't even have to align your phone with the charger perfectly). As simple as that. 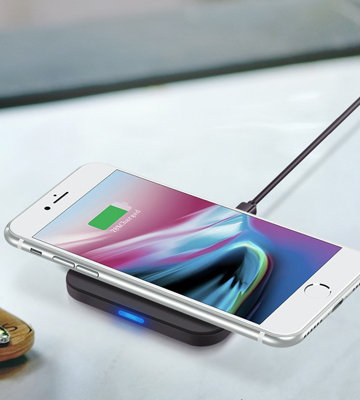 The majority of wireless chargers also tend to be lighter and much more compact than the regular ones, so you can easily take them with you wherever you go without having to worry about what percentage is your smartphone's battery at, and whether you will be able to finish every task that you planned before your phone shuts down. On top of that, the inductive charging automatically stops when the device is fully charged, which is a feature that isn’t at all available to the absolute majority of regular chargers. Q: Is wireless charging slower or faster compared to the regular approach? A: At the very inception of this technology being implemented in commercial use, the majority of wireless chargers would tend to lose to their wired counterparts in terms of speed. But, nowadays, most wireless charging solutions are capable of entirely replenishing the battery of your smartphone at virtually the same speed or, sometimes, even considerably faster than their cabled rivals. The secret to it lies in the fact that the latest Qi-certified wireless chargers are capable of delivering higher power levels (up to 15W) to compatible receivers, which, in turn, results in significantly faster charging times. On top of that, if your phone and your charger both support fast charge mode, the kind of swiftness they are able to reach in terms of recharging the battery is simply unparalleled when it comes to cable chargers. Q: Can I charge multiple devices at the same time on one wireless charger? A: It all depends on the kind of model you are looking at. Some are capable of charging up to two and even three phones simultaneously, while some can only charge one phone at a time, so make sure to check if the option is there before purchasing your wireless charger. Q: My phone tends to feel a bit warm every time I charge it using a wireless charger. Is it normal? A: Yes, there's likely absolutely nothing to be concerned about since it is absolutely normal for your phone to feel slightly warm right after the charging process is concluded. Furthermore, some wireless chargers even feature temperature control and advanced safety options that will always prevent your phone from receiving any kind of damage throughout the entire charging process. Q: If my device is able to charge wirelessly, can I still use a regular cable charger instead? A: Yes, you can still use a cable to charge any device that's compatible with wireless charging. 1. Rob Triggs Wireless charging technology, Android Authority. January 11, 2016. 2. Russell Holly Qi or Powermat, Androidcentral. June 9, 2015. 3. Wireless Charging, Consumer Reports. December 11, 2013. 4. How does wireless charging work, Verizon. 5. 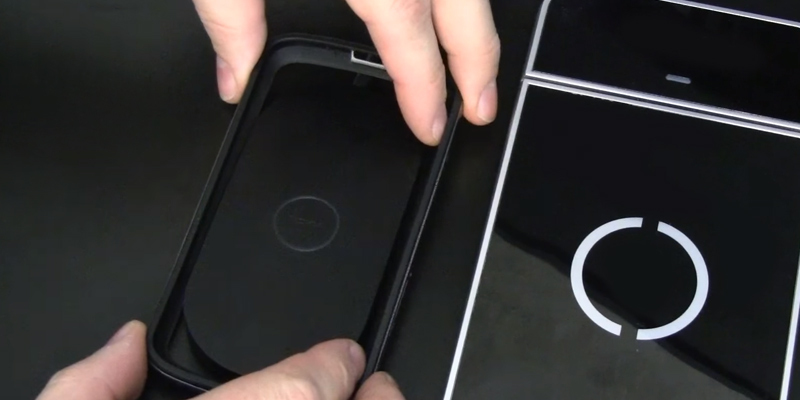 Gary Marshall This is why you should choose wireless charging, Androidpit. May 24, 2015. 6. Elmer Montejo How you can get wireless charging, Techlicious. July 31, 2016. 7. Marie Brewis How to use Qi wireless charging - how to wirelessly charge your phone, TechAdvisor. March 31, 2016. 8. 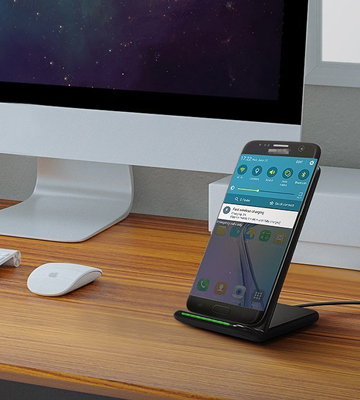 No more cables: How wireless charging works and how you can use it today, How-To Geek. June 5, 2016. 9. Sara K. White Inside the evolving world of wireless charging technology, CIO. July 24, 2015. 10. Wireless charging, ComputerWeekly.com. May 2013.